Getting married in Thailand is a magical experience for any bride or groom. It is a destination filled with tranquil venues and stunning surroundings. Koh Samui is one of the most beautiful places to get married as it is in the Gulf of Thailand. As with any wedding, those getting married in Koh Samui have a lot of work ahead of them. But with the assistance of the groom, it is more than doable. Help plan your loved one’s special day with this checklist. Planning a wedding doesn’t need to be all that stressful. Use this guide to help make your day memorable! Every good groom needs his brethren of trusty groomsmen. With a destination wedding such as this, it important to choose close friends and family that you can count on to be there, even if it means overseas. With any destination wedding, it is unlikely that every guest will be able to attend. It is still crucial for you to determine who you would like to be there. Work alongside your bride to create your own guest list that won’t be too stressful. Many do not know that it is the groom’s responsibility to see who has not responded to his side of the guest list. Be sure to also ask what those guests would like to eat at the venue if needed. This will help reduce the stress of your partner as they can only reflect on their own side. Now don’t get worried about this task. You don’t necessarily need to learn how to tango. Coordinate with your partner and see which dancing will commence during the ceremony. Be a good sport and not only learn the routine, but practice it as well. Wedding packages are a popular service amongst bride and grooms. To help out the bride, provide her with the option of an all-inclusive wedding package that will take care of vendors and coordinators. Every groom should be responsible for finding and giving the gifts for his trusty guys. 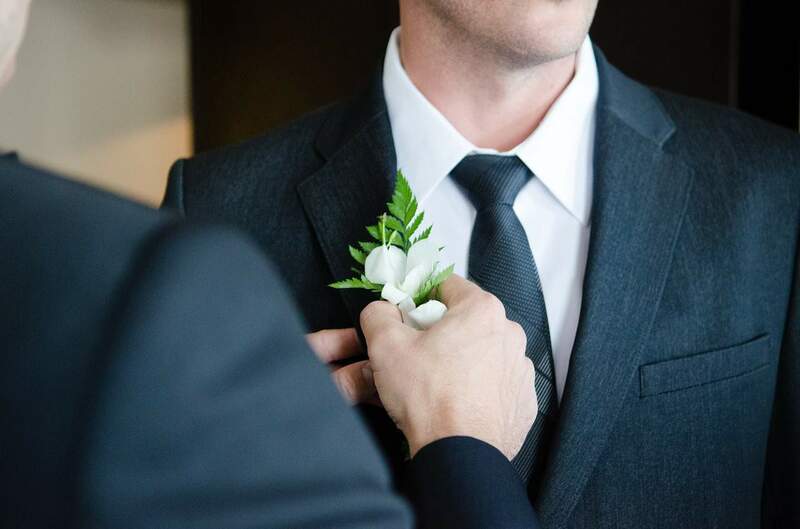 To say a heartfelt thank you, consider giving them some of the most popular groomsmen gifts such as sports tickets, top-shelf liquor, flasks, or engraved cufflinks. The vows are an important part for most weddings but can be done in a variety of ways. Whether you plan to write out your own vows or read traditional vows, you should practice them leading up to the date. To reduce the stress of the events ahead, coordinate with both sets of parents and the officiant to make sure that they will all be there on time. This will help your partner out. The wedding look should always be confirmed and planned alongside the help of the bride. If you’re having a beach wedding in Thailand, your partner might have a certain look in mind. But once decided, it should be your job to pick out the appropriate attire. Make this a fun outing with your guys. Getting married in Thailand has become a popular destination. The culture, food, and sheer beauty attract couples of different personalities. To make sure that your special day is as magical as t can be, help out with the various tasks. By using this guide, you will be the groom that your partner deserves. Be sure to include your groomsmen in the planning process. Most of all, make sure to enjoy the planning process. Getting married in Koh Samui is something to be celebrated over!